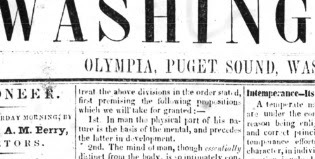 Olympia Time: Why is it all named Puget Sound? Huh. I had always thought of Puget Sound and the Straight of Juan de Fuca as distinct bodies of water. So does this mean the Hood Canal is also part of the Sound? Or even Bellingham Bay?